ENO Drip Strips. Not much can ruin a good hang, but the rain sure can dampen the mood. 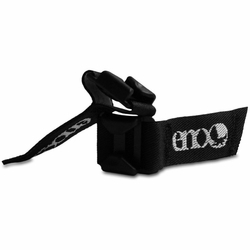 Keep those annoying drips at bay with ENO Drip Strips. Acting as mini barriers to redirect rogue water streams away from your hammock, the Drip Strip attaches to any ENO Hammock Suspension System with a simple place and clip. Combined with an ENO Rain Tarp, they will keep your hammock dry and your spirits high. Eagles Nest Outfitters.